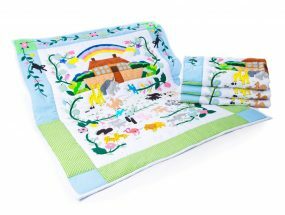 Our heavenly Flower Faries Baby Quilt is such a great addition to our handmade baby quilt range. And Faries, Pink and Flowers seem to be a must for those little baby princesses for their heavenly pink nursery. 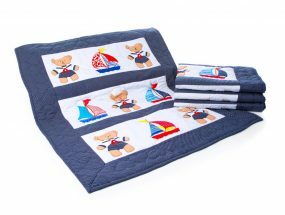 It is handquilted and doubles up as a playmat where you can lay your baby down when tiny or a lovely wall hanging to decorate your nursery wall, or simply as stated – a Baby Quilt. It looks lovely on single beds too. 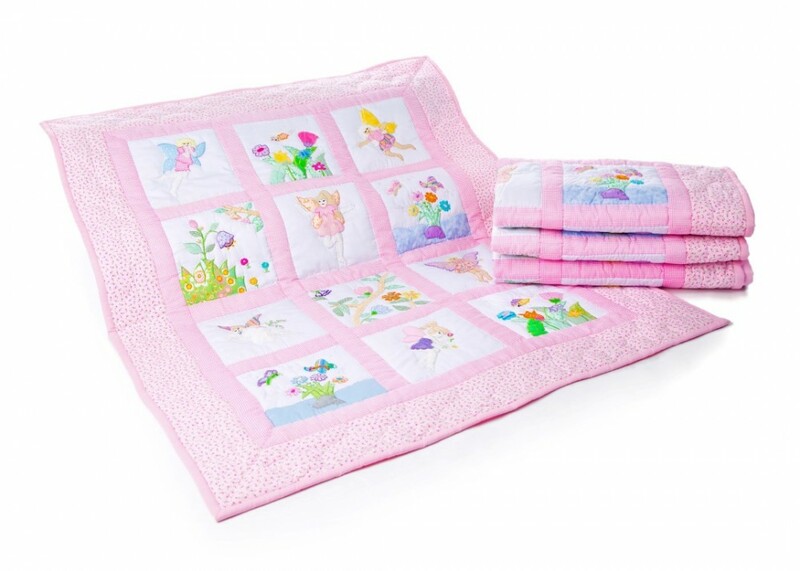 As we have just said this pink Flower Faries handmade baby quilt is a must for all little princesses in their bedrooms. All the figures are appliqued onto the base fabric and then handquilted around and then there is the lovely border which is also hand quilted. All our quilts are machine washable but we would recommend a gentle cycle and definitely not a tumble dry. As with all our quilts they are made by a very talented group of women in the Philippines that we have been supporting for over 30 years. Their work is superb.